I spent a quiet weekend catching up on university work from home and exploring Wexford Town. On Monday it was all systems go and the teams of Cuttings 1 and 2 got right back in to digging. I was still assigned to Cutting 1 and continued cutting back the eastern corner. I was lucky enough to discover that the wall I had been uncovering the previous week continued to the south. This was excellent as although Cutting 1 was not producing as many artefacts as Cutting 2, we have structures! The afternoon was spent with an introduction on how to take levels by Richard (the Site Supervisor). On Tuesday I continued following the wall until it was completely uncovered. Unfortunately, it appears to not continue the entire way through the cutting to form a corner with the already exposed southern wall. 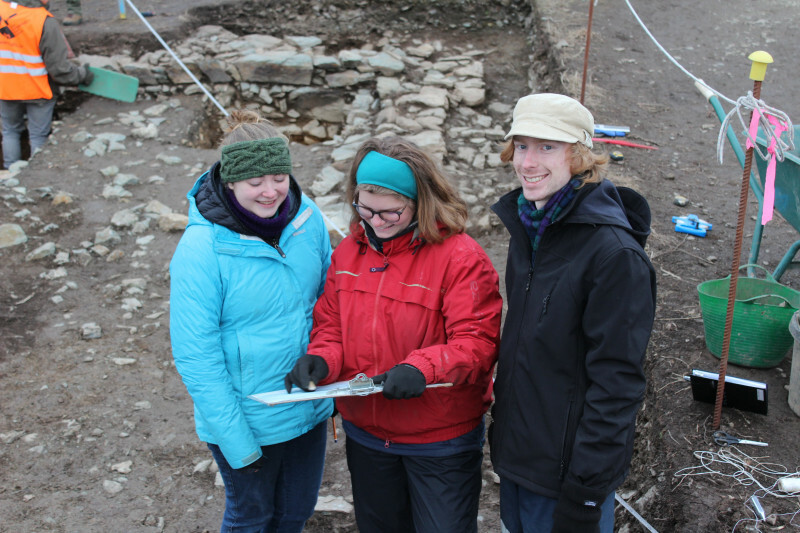 The students then spent the entire day trowelling back and cleaning the cutting in preparation for ‘publication level’ photography of the cutting and in preparation for drawing (planning). Six of the nine students in Cutting 1 began their drawings of the cutting. These drawings are undertaken using the sites grid system so they can all be joined and display real world locations. Drawings are also taken as well as pictures so hard copy information is retained for the site record. Data can be lost so the more copies, and types of information for the site record, the better. Wednesday was spent on the drawings of Cutting 1. As drawings must be accurate this process is often slow and takes a couple of days to complete when, like with the students, it is being learned for the first time. I also spent part of the day inside in post excavations learning how to process finds. 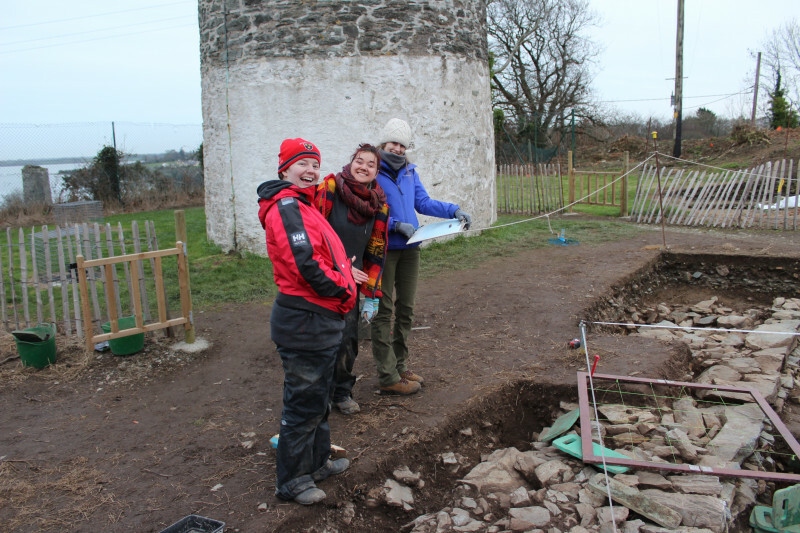 This was important because on Friday Maddie, the post excavation supervisor, is going back to university and I will be undertaking this process in the midland’s office in Birr in the next part of my internship (bye Maddie!). Wednesday was the first cold day (by Irish standards) so Steve and Denis bought us hot chips (fries to you Americans) and Wexford rissoles – a local delicacy that has to be tried - to end the day. On Thursday I was switched to Cutting 2 as Cutting 1 did not need me around to complete their drawings, which were starting to take shape and looked fantastic. In Cutting 2 I trowelled back for most of the day and discovered what could possibly be three stake-holes. 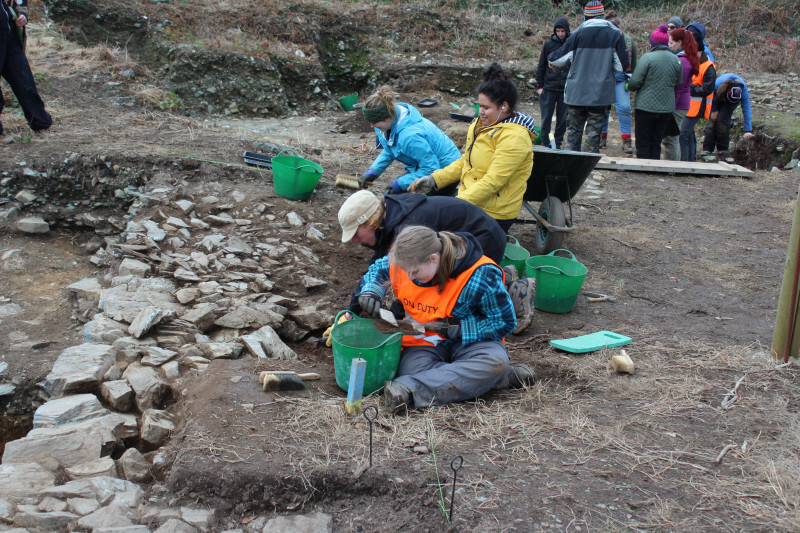 Two of the students found pottery with engraved patterning. Unfortunately, it had rained overnight so on Friday all our trowelling on Cutting 2 had to be redone. This only took an hour to complete due to the teamwork of Cutting 2, who ignored the drizzle and got the job done. The students had their quiz on Friday so after morning tea Richard, Jordan (a local volunteer) and I cleaned up Cutting 2 in preparation for photos and site drawings. After that it was drawing until the end of the day. Most of the students then headed off to Cork to explore and adventure!